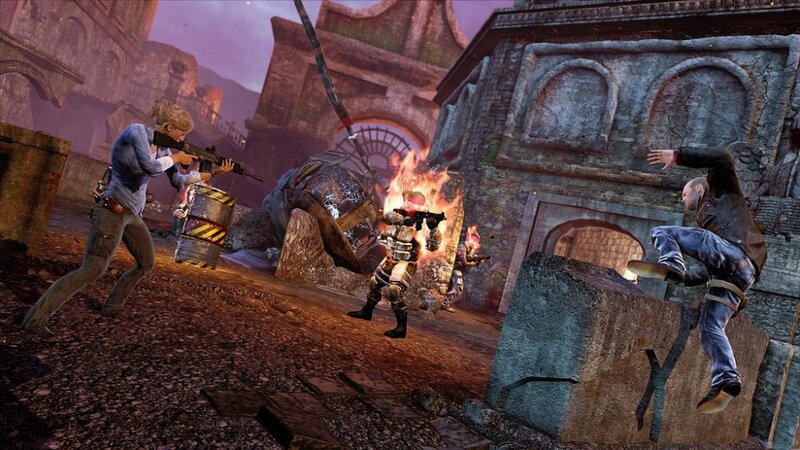 Uncharted 3 may offer the first 15 levels of the competitive multiplayer for free, but sadly co-op isn't included. The good news is that players can purchase additional components of the game separately without springing for the whole package. Maybe you've delved into the free multiplayer and have been eyeing the additional co-op sections of the game. If you've been patiently biding your time to pick up the co-op DLC, then you'll probably want to take note of this one-weekend sale. Players can take advantage of this sale by going to the "Extras" section of the menu in Uncharted 3. Just remember, though - this offer is only good for another day and a half from the time of writing. Uncharted 3 supports 2-player local co-op, 3-player online co-op, and combo co-op. We gave it a strong 4 out of 5 in our Co-Op Review.